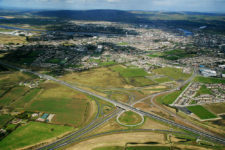 Charles Brand were the main roadwork contractors delivering the €400 million Limerick ring road scheme incorporating a tunnel beneath the River Shannon, part of a larger scheme to construct the final link in the city’s ring road and integral to one of Ireland’s strategic national primary routes. 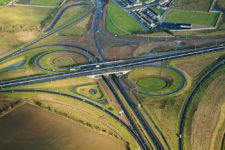 The Roadwork contract for National Roads Authority (NRA) was carried out on the basis of a design, build, finance and operate agreement over 35 years. 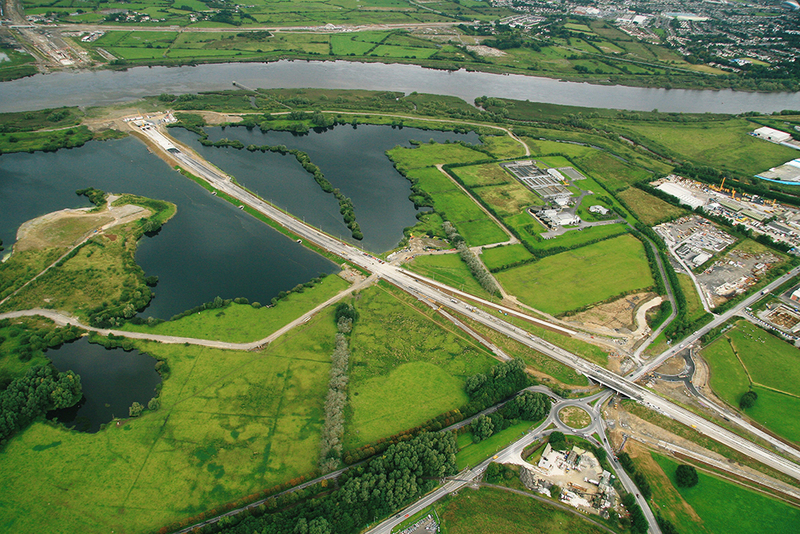 A key aspect of the project was the construction of a 675m long tube tunnel running beneath the River Shannon. 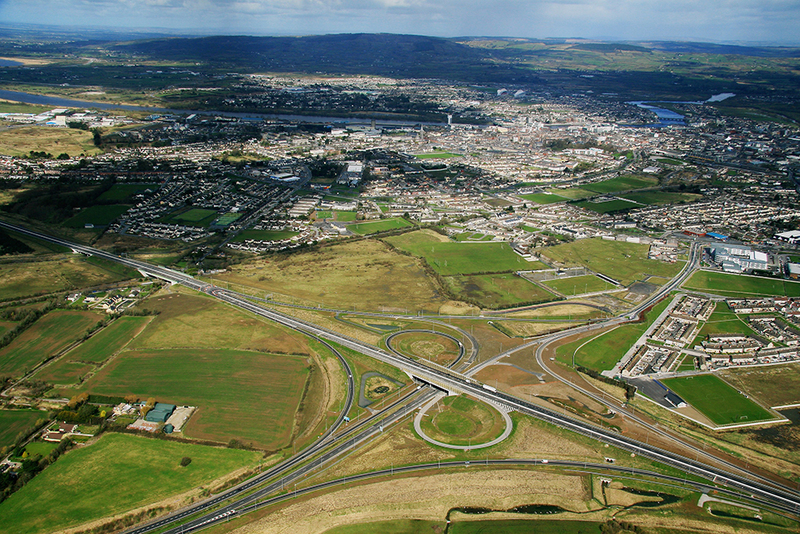 In the role as a member of the Construction Joint Venture, Charles Brand undertook the construction of tunnel temporary works on the north bank of the River Shannon. The North Float Out Structure, 122m long and 30m wide was constructed in weak fluvial soil 18m to 2.5m deep overlying limestone. To construct the NFO structure a total of 244m of piled crane platforms where erected parallel to long walls of the Float Out Structure. The 10m wide platforms consisted of 8nr 914x305UB braced together and fitted with a timber deck were designed for using 150tonne cranes. These platforms where supported by 914x419UB crossbeams at 11m centres and 820mm dia tubular piles driven to the bedrock. The South Cut & Cover cofferdam was constructed in Combi wall piling and incorporated 120nr 1420mm dia King piles and 240nr L603 sheet piles in length ranging from 24m to 28.5m. The King piles where driven into the limestone with a Junttan 14 hydraulic piling hammer and to ensure adequate fixity all 120 King piles were pinned into the limestone with 4.5m long 508mm dia tube inserted and grouted into drilled holes in the rock after the piles was cleaned out of the soft overburden soils. 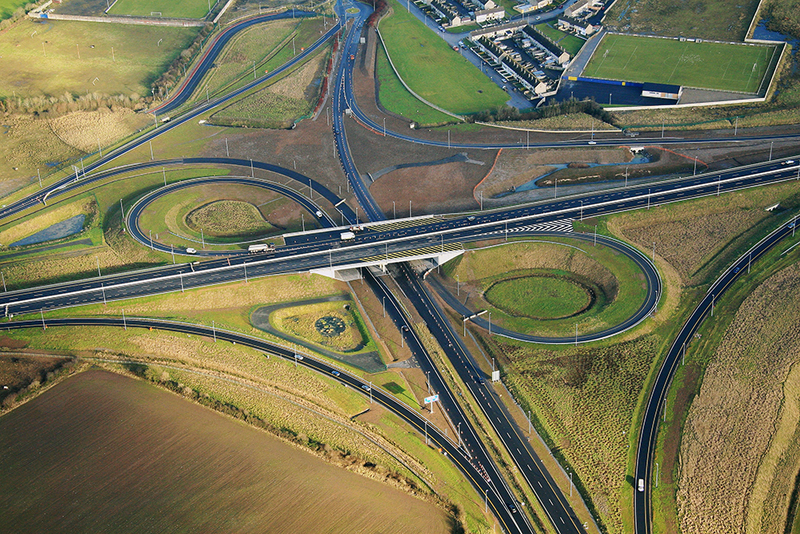 A 2.2m x1.5m reinforced concrete capping beam was constructed on the long walls and 914m dia tubes, 27.6m long tubes were installed as internal bracing. Excavation to a depth of 15m between the walls was undertaken in advance of dredging to the trench into which the immersed tunnel elements were later placed.